This workshop aims to illuminate a cluster of ideas centered around p-adic methods in number theory. It will begin with an introduction to Sage and the six chosen themes for the week, aimed at number theorists who would like to learn more about each topic. For the remainder of the week, each day will begin with research talks in the morning, followed by extended working time in the afternoons and evenings, where participants will have a chance to discuss and implement p-adic algorithms. (1) Point-counting algorithms based on p-adic cohomology have advanced from Kedlaya's algorithm in 2001 to the recent work of Harvey on computing zeta functions in average polynomial time. (2) Algorithms for computation of p-adic heights on elliptic curves allow investigations of the p-adic Birch and Swinnerton-Dyer Conjecture and conjectures in Iwasawa theory. (3) Overconvergent modular symbols are used to compute p-adic L-functions and investigate p-adic families of modular forms. 4) Motivic integration has proven useful theoretically in p-adic representation theory and the Langlands program, and has the potential to allow the computation of orbital integrals. (5) Work by the CETHop project in p-adic Hodge theory provides computational access to theoretical links between Galois representations and linear algebraic data. (6) The Chabauty-Coleman method can produce rational points on higher genus curves with small Mordell-Weil rank. 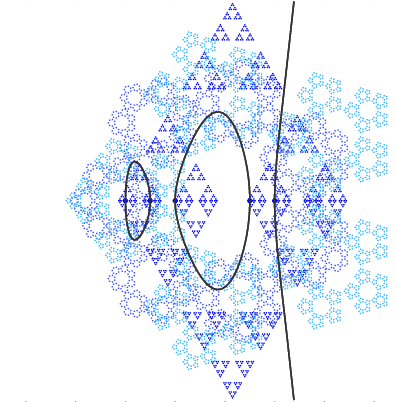 Kim's nonabelian Chabauty program explores the challenge of higher rank.